Don’t ever let your money stress you out. Money Lover is the one simple personal finance app that helps you easily manage your money. You can stay on top of your budgets anytime, anywhere. Check out why millions of people are loving it! -> Easy Budgeting: set budgets that are easy to stick to, based on your own spending habits. -> The whole picture in one place: Clear view on your financial life. -> Bill reminder: Never miss a bill again! Schedule upcoming bills and get informed before due. -> Secure data sync: If you have more than one devices, Money Lover is perfect for you because it works smoothly on different devices and platforms. 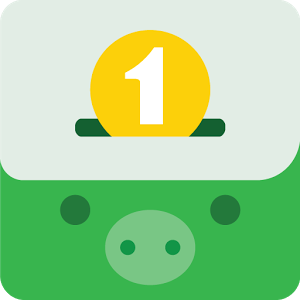 Money Lover has more to it than any other finance app! Upgrade to Money Lover PREMIUM and stay on top of your money forever. If you have any question or issue, contact us via in-app Help & Support or email contact@moneylover.me and we’ll get to you ASAP. – Network Communication (Internet Access) is for retrieving currency exchange rate and synchronizing backup data and/or common wallet. – Social Information (Read Contact) is for suggesting “With” to tag your people in your contact list. – Your Location is for identifying your location of the transaction. – Storage (modify or delete contents on your USB storage) is for creating and storing backup data to the USB storage. – Access to System tools is for adding Home screen shortcuts and widget. Various bugs fix and improvements.